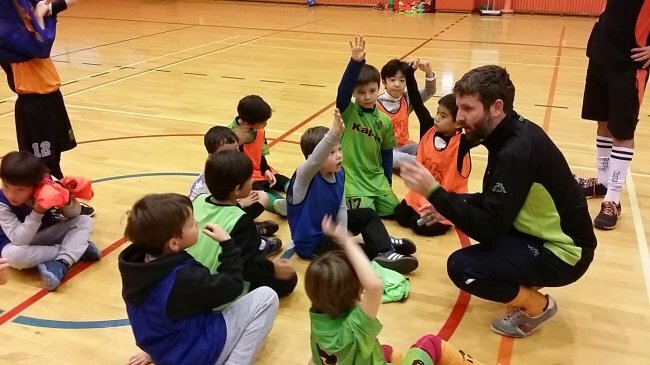 Expat soccer school International Football Education will be holding a weeklong children's soccer camp in Seoul next month, with tips on taking the sport further for the older players. There will be two daily workshops, one for teenagers and one for younger players, both looking at technical skills and game awareness to improve play. IFE staffer Na Hana said the teen workshops would also include advice for youths who are thinking about a career in soccer, or who want to pursue a soccer scholarship at universities in North America or Europe. The sessions will be led by Phil Neiland who has been in Ireland the past semester studying and coaching for the UEFA B License with the Football Association of Ireland. Na said that Nieland had knowledge of the subject as a coach and as someone who studied in the US on a soccer scholarship. “This is a fantastic opportunity for the youth of Seoul to get a taste of the best practices in youth soccer development,” said Neiland. “(At the teen camp) players will get a feel for professional soccer training and will get a chance to learn about the ins and outs of both the professional and/or university soccer environment in the USA and Europe. The camps will run Jan. 2-6, from 10 a.m. to midday for kids aged 6-12, and from 1-3 p.m. for players aged 13-18 at Dulwich College Seoul. The players will be split into groups according to size and ability during the sessions. The camp costs 125,000 won and registration is on a first come, first serve basis. For more information contact info@ifesoccer.com or 010-2500-7828.